Over the past 15 years, PowerSecure has quietly built what may be the country’s biggest fleet of microgrids. The Wake Forest, N.C.-based company controls some 1,500 megawatts -- mostly backup generators, along with some cutting-edge solar-battery integrations -- that help hospitals, data centers, grocery stores, food-processing plants and other big commercial-industrial customers ride through blackouts and shave peak power costs. Now it’s getting bought by one of the country’s biggest utilities, in one of the largest publicly disclosed deals in the still-nebulous microgrid field. 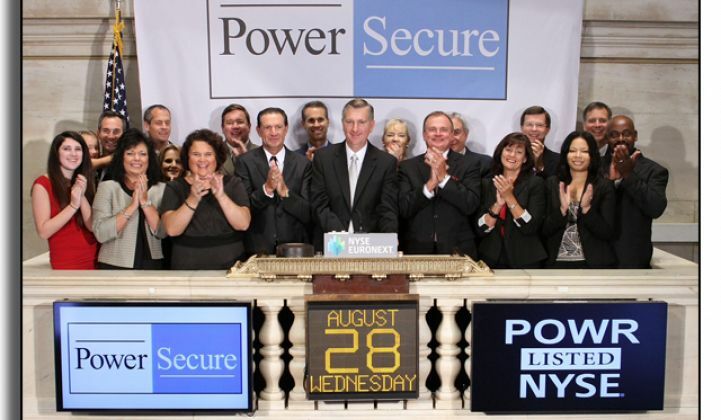 On Wednesday, Southern Company announced plans to acquire PowerSecure for $431 million, or $18.75 a share -- a hefty premium over the publicly traded company’s recent share price. Southern Co., which serves about 4.5 million customers through subsidiaries Georgia Power, Alabama Power, Mississippi Power and Florida’s Gulf Power, hasn’t been a big player in distributed or customer-sited energy to date. As it noted in its press release, “these technologies typically receive highest demand largely in markets outside of the Southeast,” where coal and nuclear still provide most of the region’s power. PowerSecure CEO Sidney Hinton said in a Thursday interview that the company managed about 1,500 megawatts of flexible, behind-the-meter energy resources at about 1,200 sites, mostly east of the Mississippi River. While he wouldn’t name customers, he did say they include six of the country’s 10 top grocery-store chains, several well-known data center customers, and a few military bases. Most of PowerSecure’s customer base is outside Southern Co.’s territory, Hinton noted, with projects financed or owned by the customer itself, or by a utility. The company will continue to partner with other utilities under its new ownership structure, he added. But over the years, PowerSecure has found itself in the position of taking ownership stakes in a relatively small portion of its projects -- about 10 percent or so, he said. “We’ve earned very attractive rates of return for those projects,” he said. But as a smaller company, it has faced limitations in growing that part of its business -- at least, until now. Most of the company’s business is based on its Interactive Distributed Generation, or IDG, systems, he said. These are custom-engineered, proprietary combinations of backup generators and on-site energy controls, built to provide a majority of a site’s power needs and keep it running during times of grid disruption, he said. This line of business is something like that provided by demand-response aggregators such as EnerNOC, Comverge and others. 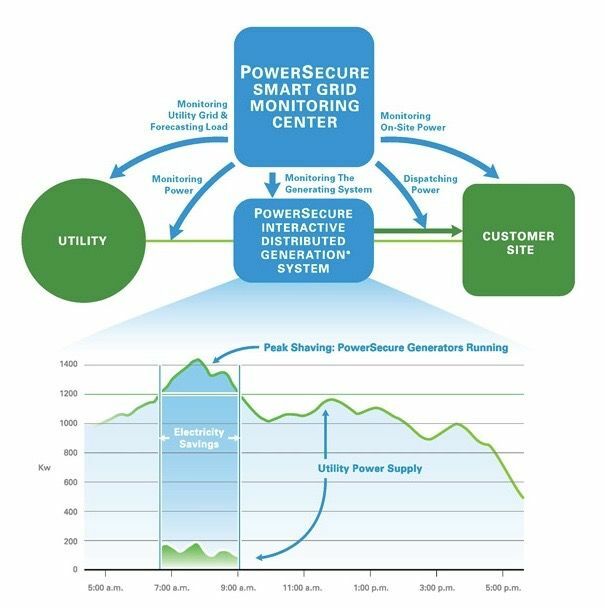 PowerSecure isn’t an aggregator or curtailment service provider in this way, Hinton noted, although it has worked with energy companies like Constellation, as well as with utilities or customers directly. Other companies in the space are forming partnership with energy companies -- Enbala is working with GE Energy Ventures and Edison International, and Blue Pillar is working with NRG Energy, to name a few examples. Tangent Energy, a Pennsylvania-based company with about 525 megawatts of flexible behind-the-meter energy under management with industrial customers, municipal utilities and retail energy providers, is another company that bears some resemblance to PowerSecure's approach to the market. We’ve also seen a fair share of M&A activity along these lines over the years. NRG bought Energy Curtailment Specialists in 2013, Constellation Energy and Comverge merged their commercial-industrial demand response portfolios in 2014, and Customized Energy Solutions acquired Powerit Solutions earlier this year. Over the past four years or so, PowerSecure has also expanded into solar power projects, specializing in what Hinton called “making solar dispatchable. We do complex solar, where people are incorporating storage, high-speed reciprocating engines,” he said. That side of the company’s business accounted for about $100 million of its $400 million in 2015 revenues, he said. One such showcase project at a well-known tech company headquarters features solar PV, batteries, fuel cells and spinning generators, all integrated with the local utility’s distribution grid control systems, he said.